I also really liked this flower wall art made from paper hearts. This would be so cute made to match a girls room. Check out Christina’s Adventures for the how-to! 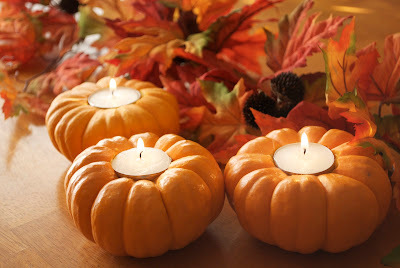 I love these mini pumpkins made into candle holders! Check these out on A Princess and a Pumpkin.